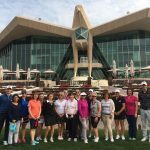 On Wednesday, February 22 the Abu Dhabi Golf Club (ADGC) hosted the first ever AWN Ladies Golf competition. 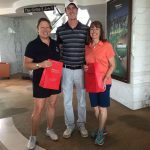 The event was held on the 9-hole Garden Course and was designed to bring together players from both the beginner and the intermediate groups as a learning experience and to test skills in a friendly, fun environment. A total of 15 players participated in the “best ball” format, which included closest to the pin and longest drive challenges. 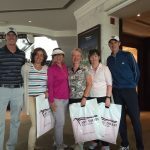 A prize awarding ceremony was held in the clubhouse at the end of play. If the cheerful smiles and enthusiastic conversation afterward were any indication, everyone had a great time and is looking forward to the next competition. 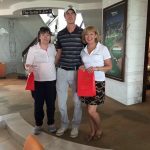 We wish to thank our golf instructors Grant and Nick for organizing the event, and offer congratulations to all of the winners!